The cutting-edge Mast3rPur Water Management System utilizes three hot tub sanitization methods—Ozone, UV-C light and a combination of copper and zinc produced by EcoPur® Charge filtration—to create a more effective hot tub sanitation solution than any other system on the market. The combination of these three natural sanitizers supports overall water quality and reduces the amount of harsh chemicals needed to maintain optimal water balance. 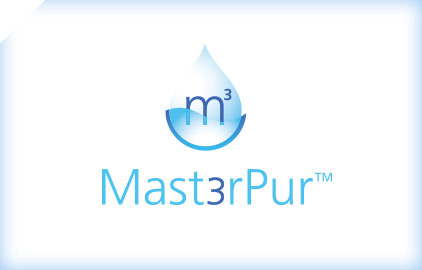 Through the Advanced Oxidation Process (AOP), Mast3Pur quickly rids water of contaminants, chloramines and microorganisms with help from each of the three natural sanitation methods. AOP produces powerful hydroxyl radicals that maximize disinfection and reduce chloramines; producing clean, clear, sanitized hot tub water. Additionally, the QuietFlo Water Care System™, Master Spas' hot tub circulation pump technology, which circulates the water even when the hot tub is not in use. The synergy of the three elements combined with QuietFlo water circulation creates a simplicity and efficiency in water sanitation that is unmatched. When absorbed into hot tub water, ozone kills pathogens and microorganisms, destroys organic contaminants and oxidizes non-organic contaminants. When hot tub water is exposed to germicidal UV-C light, the light inactivates microorganisms and breaks down chloramines. The unique combination of copper and zinc in the patented EcoPur filters creates an electro-chemical reaction that eliminates many microorganisms and removes heavy metals, such as lead and mercury.